What if we told you that your commercial refrigeration could have a reduction in CO2 emissions, have lower evaporation from stored food, have a longer motor life, and enjoy lower maintenance costs? That’s right, we have done it again – we are continuing to offer revolutionary products that will benefit your bottom line, no matter what your industry is. As part of our promise to you, our clients, we are offering cutting edge technology for your commercial refrigeration which is why we now offer Frigitek compressors to Orlando. Frigitek is a single-phase design that can be used in walk-in refrigerators in restaurants, retails stores, and florists. Frigitek reduces the compressor duty cycle which means your walk-in will only reap the benefits and can’t or won’t harm any other equipment. And what’s even better, it is estimated to save you roughly 25-35% of your energy costs. You absolutely cannot beat the combination of lower costs and higher quality. Easy to install, a one-phase Frigitek can take roughly one hour for installation and up to three hours for a three-phase Frigitek. The professionals at All Temp Air Conditioning and Refrigeration are qualified, licensed, and insured and are ready to install your Frigitek. When properly installed by one of our technicians, a Frigitek can outlast your refrigeration system. Don’t wait to experience these cost savings. Contact All Temp today. 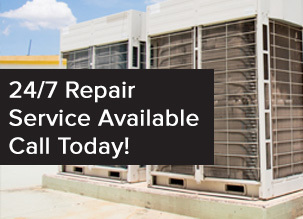 For over 20 years, our experts have provided Central Florida with top-of-the-line refrigeration services for the restaurant, retail, and medical industries. The skill set of our technicians is unbeatable and we want to help you keep and maintain your walk-in with the new Frigitek compressor. For the best in commercial refrigeration service in Orlando, contact us today at 407-857-7800 (Orlando) or 813-630-9400 (Tampa).